Agriair® PG air purifiers with ionic oxidation generators produce eco-friendly oxidizer plasma to purify air and the whole indoor commercial garden environment. The oxidizer plasma is generated from humidity and oxygen in the surrounding air, sanitizes your garden 24/7 and leaves no chemical residue behind. One or two generators can produce enough oxidizer plasma to maintain a high level of air sanitation and odor control in 3,000 to 12,000 cubic feet of grow space. 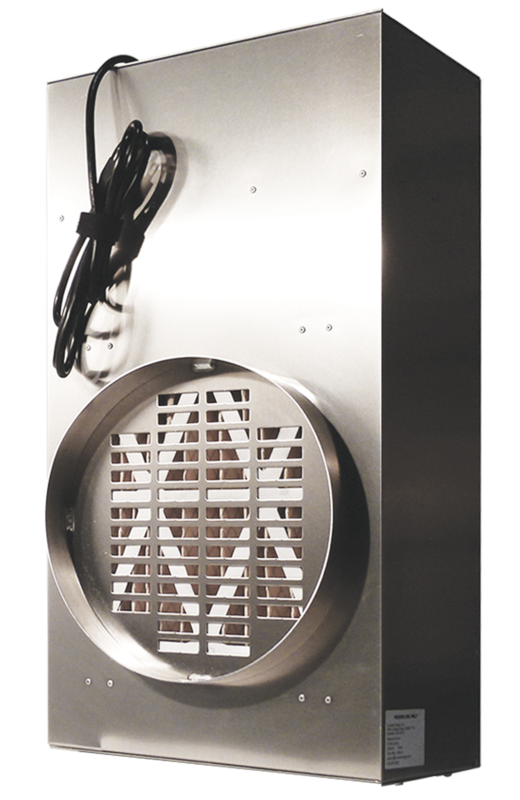 Agriair® PG purifiers are designed to add on to nearly any existing air moving, HVAC system or to the Omniaire 600N HEPA filtration unit. Agriair® purification equipment provides an economical, safe and effective solution to many of the major air quality concerns of indoor commercial gardeners. Virus, microbes, and bio-contaminants on plants and hard to reach surfaces are reduced by 99.99% without biocides or chemicals. Up to 97% of airborne mold and mildew spores are destroyed before they have a chance of spreading and growing on plants, in vents and air system components. Strong odors associated with the indoor production of some crops, and additional odors from added nutrients, can be reduced by 85% thereby eliminating or reducing the need for bulky and expensive carbon filters. Please see the testimonials from our users which include their actual lab results. To provide the best solution for your space, please include the number of rooms, cubic feet of space (LxWxH) and if Flowering/Vegetative selected above, of plants in your space.